Last week, I sent a Keynote presentation to a friend of mine. He told me that he could not view the presentation because PowerPoint could not open it. So I decided to write this article. The Keynote app is the Mac presentation software similar to Microsoft PowerPoint on Windows computers. Keynote lets you create beautiful presentations. By default any Keynote file is saved as a Keynote format file with with a “.key” file extension (e.g. 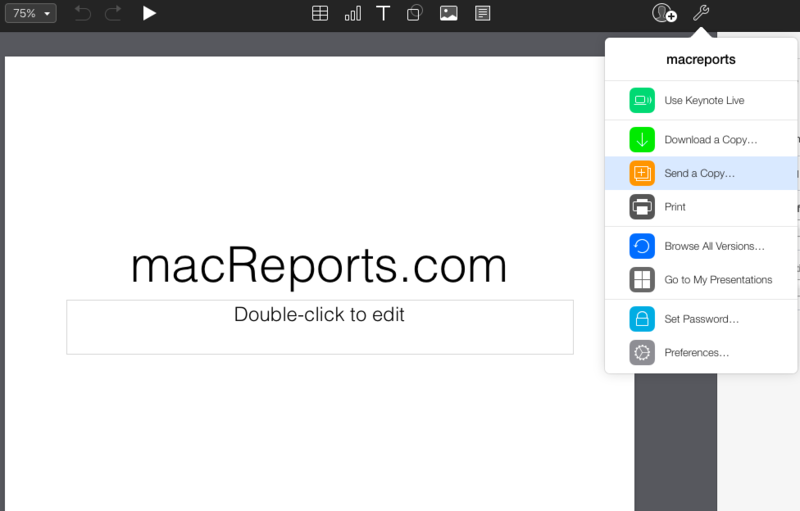 macreports.key). Many people do now own a Mac computer or an iOS device. This means that they can not download and install the Keynote app, as this app is exclusively developed for Apple devices. And some people may require to open Keynotes in Microsoft PowerPoint. 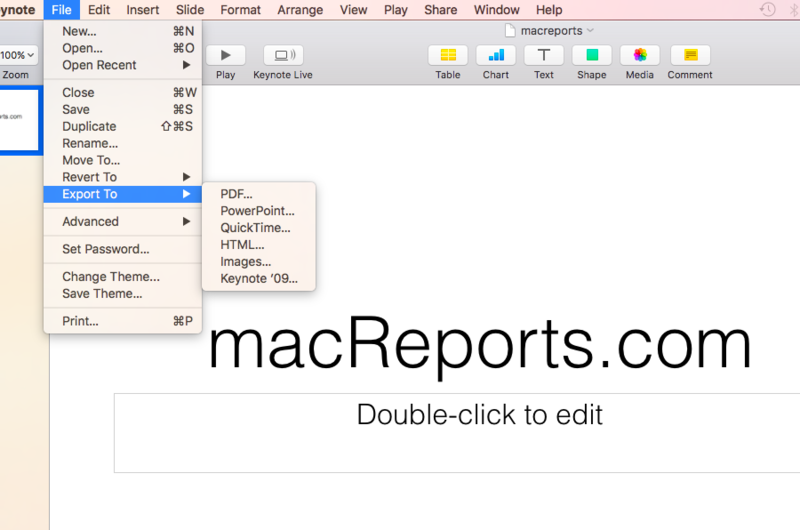 So, if you own a PC, here is how you can open a Keynote document. This (singing up) will get you 5GB of free cloud storage to save your documents. You do not need to purchase an Apple product to create this account. Anyone can do this. Once you sign up, this means that now you can use iCloud Drive at iCloud.com. Now sign in. 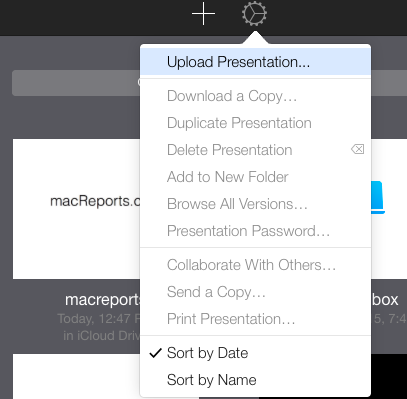 Now you can create a new presentation or edit an old one by uploading. Click Settings and Upload Presentations…This will upload your keynote presentation that you have on your computer. Now you can view and edit this file via your web browser. Choose your download format. You can choose (a) Keynote (b) PDF (c) PowerPoint. After your selection, then your download will start. So that you can edit your presentation. If you want to send this file as a Keynote file again, after you complete your editing. 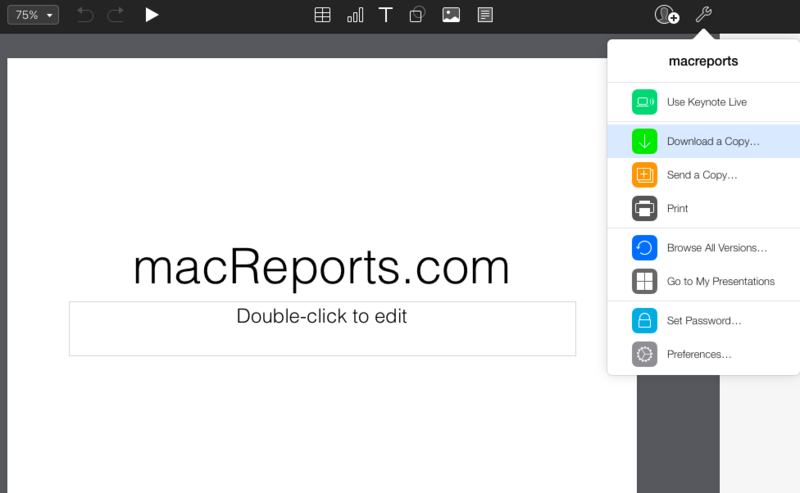 you can again do so by using iWork for iCloud by following the same steps described above (upload and convert) and hit the Send button by selecting Tools and Send a Copy. You can choose: .ppt or pptx format. You may want to use .ppt if you know your friend is using an old version of PowerPoint. To do this, click Advanced Options. Click Next and Export. This will save this. You can send it. Now open this new zip file. You will see a few files and folders. 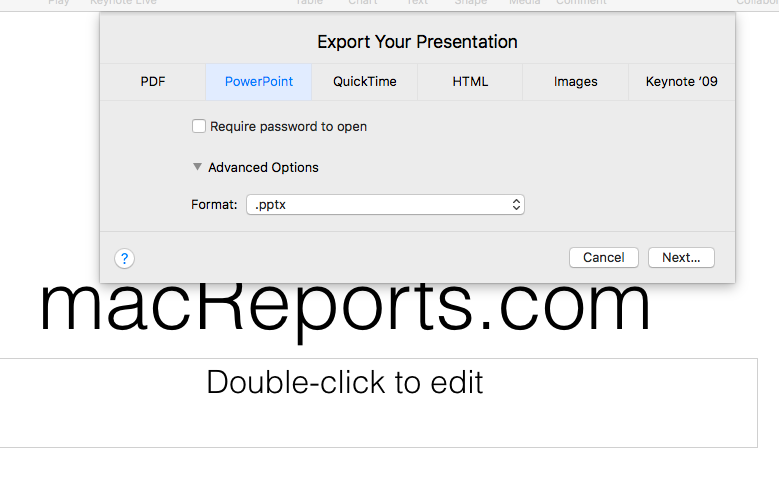 Double click the Preview file and now you can preview the presentation.